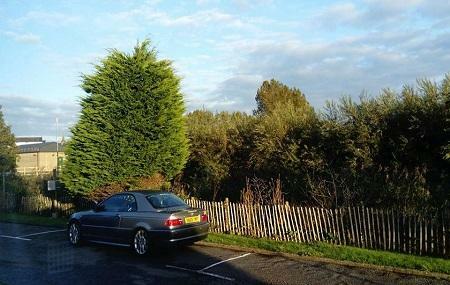 Overlooking the bay, the Saltern Caravan Park is a countryside facility with lots of caravans for rent. The park located amid greenery is a family oriented patch with all the necessary amenities and access to the popular activities. The Saltern Caravan Park is in the heart of Tenby and a leisurely stroll around is always charming. Fifty static caravans are here for rent. The well-manicured grassy field is perfect for kids to play around or having a bonfire at night. There is laundry facility on site and you can get your grocery items from the shop that is located just outside the complex. The caravans vary in size and structure. Some of the caravans are Pembroke, Picton, Tudor, Carlton and Richmond. How popular is Saltern Caravan Park? People normally club together Booth Leisure and Tenby while planning their visit to Saltern Caravan Park. I first stayed Saltern Caravan Park fifty-five years ago and I can say that I enjoyed my latest visit as much as my first. To return after all these years and feel the same cosy small caravan site friendliness was a treat. Lovely, clean, quiet holiday park. Caravan was excellent. Very spacious and very clean with all mod cons. Easy access into Tenby and other places to visit. Close to a local pub, just over the green, which is handy as there isn't one on site. Spar and Co Op just around the corner so could pick up supplies when needed. Carol is really friendly and very helpful. Been coming here for years. With and without kids and dogs. Now has new site management who seem to be very nice and couldn't be quick enough to deal with a request for a different mattress as the one we had was like sleeping on bricks. They have a few new vans at the site entrance. Theres a launderette here. There's a small park at the end of the site for little ones. If you like peace and quiet and a small stroll into town in an evening at a no frills place then Saltern will be for you. Great quiet campsite. Friendly staff and the town folk are so nice.